The Hillsiders were formed on May 5th, 1964 and their first gig was at Walton Lane Social Club, Liverpool. The Hillsiders career ran until 1999. The original members were JOE BUTLER, bass guitar and vocals, BRIAN HILTON, lead guitar and vocals, BRIAN (NODDY) REDMAN, drums, KENNY JOHNSON, lead singer and rhythm guitar and FRANKIE WAN, steel guitar. Frankie Wan left in 1967 and RONNIE BENNETT joined the band until he left in 1979 to concentrate on his business making steel guitars. DAVE ROWLAND then became the steel guitarist. Kenny Johnson decided to form his own band in 1975 and KEVIN McGARRY was invited to join the band as lead singer. Joe Butler left in 1993 and was replaced by MICK KINNEY on bass guitar. They appeared at The Grand Ole Opry, Nashville in August 1967. First British country band to have their own TV show on BBC2 in 1978. Appeared with Chet Atkins at The Royal Albert Hall in London. The Hillie's were also the first country band to make a major outside broadcast for a Radio Station. They have been guests on the Ralph Emery Show, Ernest Tubb’s Radio Show and The Grand Ole Opry Radio Show in USA, as well as several specially recorded shows for BBC and Radio 2. They have won numerous awards for being voted Britain’s No.1 Band, and best band by the C.M.A (Country Music Association) three years running. The band toured Germany with the late Red Sovine. They also flew to the Falkland Isles just after the end of the war to entertain the troops stationed there. Appeared on TV in America, Holland, Sweden and Norway as guests with Billie Jo Spears & Bobby Bare. "Well, there's a fella by the name of Ian Grant, who was producing records for RCA at the time, and I had met Ian when I first came to Britain in November 1967. I did a radio show called country meets folk, with Wally Whyton, and Ian was the producer. 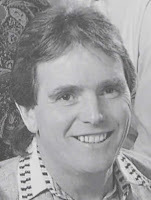 Ian later became a record producer, and he came up with this idea to pair The Hillsiders, who at the time where Britain's premier country band, with a friend of theirs from Nashville, which wasn't the first time they had done that though as they had previously recorded an album with Bobby Bare in Nashville. But this was to be the first album recorded in Britain by an American with a British band and all British musicians. So it was a kind of historic venture, and the Hillsiders and I have remained real good friends through the years. We did a tour of Europe, the Scandinavian country's, Germany, Austria and Holland in 1969, and we did a television series together for BBC2. The first one was the one we did at the Nashville rooms which was also the first ever country music television series. So the Hillsiders and I have had historic moments together and a lot of good memories. Their great lads." Joe started his musical career after coming back from the Scottish Islands where he worked for the Forestry Commission. He worked in a music shop in Liverpool selling guitars but soon discovered he preferred to play them rather than sell them, so when he was asked to play bass guitar with The Cascades he jumped at the chance. The Cascades were a local beat group, but Joe has always preferred country music, so was one of the first members to form the Hillsiders. Joe has produced albums for other bands and has also produced the Country Music programme with Radio City in Liverpool and in his spare time has promoted other bands. Joe has always enjoyed touring with the Hillsiders and his hobbies having included song writing and Everton Football Club. Kenny was also one of the first members & lead singer of The Hillsiders. 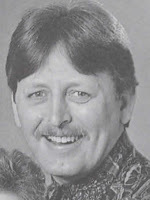 He left the band in 1975 to form his own band Kenny Johnson and the Northwind and continued to perform into the 1990's. Kenney still performs now as a solo artist. Brian is a talented musician who plays guitar, dobro, mouthorgan & jews harp to name a few. He was one of the first members to form The Hillsiders and prior to that he played in many country and beat groups in the Merseyside area. Brian started playing the guitar as the age of 18 when he was still an apprentice fitter at Cammel lairds ship builders. He was inspired by the great Chet Atkins and Merle Travis. In fact, whilst he was in Nashville with the Hillsiders, Chet Atkins autographed a guitar strap for him which he still treasures. Hobbies include writing songs, fishing and real ale. He is also fond of driving and was often seen behind the wheel of The Hillsiders’ bus. Brian has been nicknamed “Noddy” for so many years now, he hardly remembers his real name. The nickname was given to him during many of the all night sessions in Germany. At this time, he played drums for a beat group called King Size Taylor and the Dominoes based in Hamburg. Back in Liverpool, he played with The Foremost and auditioned for The Who who were heavy rock groups. Noddy knew Joe at the time The Hillsiders were being formed and he decided to swap the heavy rock for country music. It did not take him long to decide this was where his talents lay. He still loves all types of music but lists country music as his favourite. Before becoming a musician, Noddy was a TV aerial rigger. He lists his favourite drink as whiskey and bitter. Ronnie replaced Frankie Wan as The Hillsiders steel guitar player in 1967. He played with the band until 1979 when he decided to concentrate on his own business of hand making steel guitars from his workshop on the Wirral, Merseyside. He still plays steel guitar in a band now. 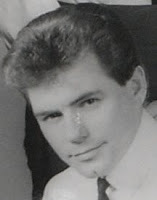 Kevin started singing at school and he sang with his uncles George and John Nield, who played country music in a band. After leaving school, he worked as a butcher before deciding he wanted to make music his career. He was influenced by George Jones and still thinks he is the greatest country singer today. When The Hillsiders asked Kevin to join them, he was at the time playing in a country band called The Saddlers. Amongst his hobbies are watching old movies, going out with his mates to the local pub, listening to other bands and writing songs. He loves experimenting with different hair styles and he lists whiskey and lager as his favourite drinks. His favourite football team is Liverpool Football Club and also likes watching horse-racing at Aintree. Dave was a bus driver prior to joining The Hillsider. He played country music with a band called Harvey in the evenings and loves the steel guitar. He can also play the dobro. He is a great friend of Ronnie Bennett and he often went out with The Hillsiders on his free evenings. One of Daves hobbies is repairing and renovating old motor bikes. Apart from being a bus driver, Dave has worked as a motorcycle mechanic and for a firm of ship builders. His parents were in the pub trade which is where he got a liking for the stuff. He loves lager, vodka, whiskey, home brew and wine. Another hobby is cycling to counteract the effects of the lager. Frankie played lead guitar for the band Sonny Webb and the Cascades before they changed the name to The Hisllsiders. Frankie was one of the first members & steel guitar player of The Hillsiders. He left the band in 1967. Mick replaced Joe Butler as bass player for The Hillsiders in 1993 and played with the band until they dispanded in 1999. Mick still plays bass guitar in a band now. 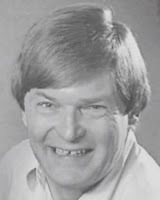 The "Hillies" met Ian Grant at the BBC Studios in London where he was one of the producers of a show called "Country Meets Folk", which regularly featured The Hillsiders. They became great friends with Ian and Wally Whyton who presented the show and used to go for a pint with them after the shows. Ian was always supportive of what the band was trying to achieve in bringing British Country Music to a wide audience. The Hillsiders liked the sounds that Ian produced so much that they asked him to produce at least 6 of their albums. They were "By Request". " Our Country". "Leaving of Liverpool". " George Hamilton IV & The Hillsiders". Goodbye Scotty Road". and "To Please You". "The Hillies" and Ian remained friends for many years and he was indeed, very influential in their success. The last but certainly not the least unsung member of the Hillsiders was the good 'old faithful'. The Ford Transit fitted with 5 Aeroplane seats to ease those long tours up and down the country. Always in Red or Blue depending on which of the lads was signing the cheque. Please reply to this post to leave your comments and suggestions.